First of all, thank you to all of you for bearing with us last week. We were overwhelmed last week by the amount of interest our ProZ ad generated and have had about 1700 people download our trial! Please, if you have questions or need support, don’t hesitate to contact us. The point of the article is to claim that there are 5 aspects of context: co-text, chron-text, rel-text, bi-text, and non-text. If you want an in-depth explanation of these, I refer to the paper. In short, co-text is the text surrounding the word or phrase. This is the definition that most of us are familiar with. Chron-text is the context of different versions of the document in which the word/phrase is found. Rel-text is the related information available in other resources. Bi-text is the context available from translation memories. Finally, non-text is what Melby refers to as ‘paralinguistic information’. The context of a word/phrase in the language and culture as a whole. There are many interesting lines of discussion this could generate, but for the sake of brevity, I’ll just pick two. First is machine translation. I said a few posts ago my background is computational linguistics, and as such I’m familiar with the algorithms used in machine translation. Most good MT systems now are largely statistical, with some systems making use of linguistic rules as well with a hybrid approach. In either case, one of the big questions is “what is context?” The problem that Melby’s context definition poses for MT is two-fold. Namely, with the first 4 “-texts,” how far is far enough? What portion of the surrounding text needs to be looked at? And, the last “-text” is currently intractable for MT. MT doesn’t know culture. Given Melby’s definition of context, it’s easy then to see why MT struggles sometimes and why, despite the care given to the sophisticated statistical algorithms, MT will never replace the human – unless they can understand culture and “paralinguistic information”. Which brings us to the next line of discussion – how do you as a translator cope with the all the variations of context for a translation in the limited time you are given? This is where the TEnT comes in handy. You don’t have the time or the resources without a tool to look at everything you could to inform you on a translation. Even with a tool, you won’t have time. But with a tool, you should be able to quickly figure out what context you most need to reference and do your research. 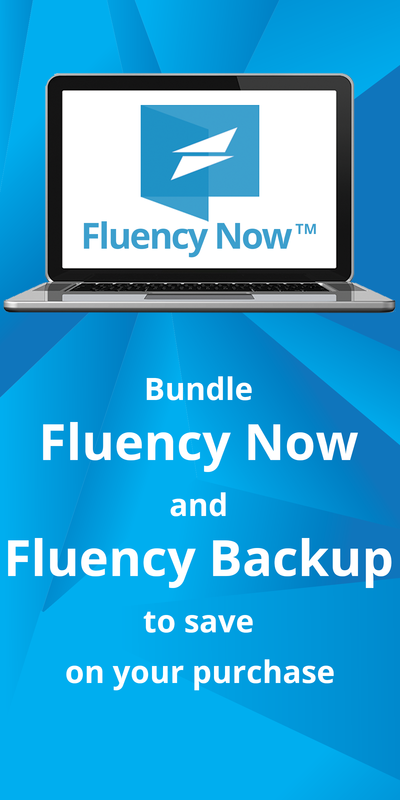 This is where one of the strengths of Fluency is manifest – you have quick easy access to lots of resources. Online resources, integrated terminology, TMs, etc. Online resources allow you access to rel-text and non-text to a degree without wasting your time. All you need to do is highlight the phrase in the source window (or just hover over a particular word) and click on the appropriate tab, and off you go. You also get an intuitive approach to co-text, where each segment is still part of a whole document, not cells in a table, each an island, entire of itself. Not to mention any images and formatting that could give you further “paralinguistic info” on the document. Anyway, I recommend you look at Melby’s article. It’s an interesting exploration of one of the main challenges that face you as translators.